The following is the text of a letter I recently sent to the editor of the Toronto Star after reading an article that appeared in the April 20, 2012, issue of that newspaper. View news article, here. I have read your April 20, 2012 article titled, “The Toronto Zoo’s departing elephants have squashed its accreditation. Thanks, Bob Barker” with some dismay and profound confusion. To blame a benefactor who is donating a million dollars to the city and the zoo to assist in correcting a blatant, controversial blunder created by AZA and its pitifully inadequate standards, is incredibly rude, and economically foolish. If AZA’s standards were meaningful, the zoo would have lost its accreditation years ago for keeping multiple elephants in a barren, confined space with no opportunity to express basic elephant behavior. The elephant exhibit at the zoo has been a source of embarrassment to the city for years, and the city council should be commended for the decision to close the exhibit and relocate the elephants. The “elephantine mistake” has been allowing the zoo’s “expert staff” and the AZA to make the decisions, when they created the problem in the first place by allowing the substandard conditions to continue over many years, resulting in the deaths of several elephants. Mr. Barker has not made a pet project of securing the Toronto Zoo’s elephants, he simply offered financial assistance for their translocation to PAWS. Basic rules of etiquette indicate at least a thank you note is appropriate for a donation of any size; Mr. Barker’s generous donation deserves a huge vote of gratitude from everyone in the city. Conversely, if Mr. Barker decides to withdraw his offer, and he should, the city and the taxpayers who support the zoo will be left with a million dollar financial burden which I doubt AZA will assist in defraying. They will certainly be unable to finance the cost of air transport which zoo “experts” have insisted is essential. Losing AZA accreditation may be the first step on the road to saving the zoo; if not, they can always apply again next year after Bob Barker and his persistent “Come on down” blandishments have disappeared. PAWS is not a zoo, we are a Sanctuary; we provide a dignified peaceful refuge to injured, abused, unwanted and retired animals. Zoos, on the other hand, seek to form collections of healthy, virile specimens to exhibit and breed in displays that are often inadequate. Fortunately, some zoos are changing their ways. When it comes to our elephants, our medical issues arrive with the elephants. The same cannot be said for many zoos and circuses which often create foot problems, arthritis and skin diseases in elephants due to lack of space, poor facilities and unnatural substrates. PAWS inherits all of those problems when those animals are retired to PAWS. Virtually every elephant that comes to PAWS has a history of physical and/or psychological illness, often untreatable. We are the last alternative to the painful and lonely death of an animal who may have suffered most of its life. With the City of Toronto’s decision to donate the Toronto Zoo elephants to PAWS, the question of TB at PAWS has become the focus of certain zoo personnel and other misguided individuals who are opposed to sending the Toronto Zoo elephants to PAWS in the uninformed belief that their presence at PAWS endangers their welfare. Every elephant at PAWS has tested consistently negative for trunk wash culture for TB. None have ever culture tested positive. There are two relatively new blood tests, the STAT/PAK and the MAPIA, which are not approved or used in Canada, but are required by USDA in the United States. They indicate if the elephant has ever been exposed to TB, and, if an elephant is reactive to either test, the USDA recommends more frequent trunk wash testing for that elephant. Because PAWS accepts elephants, like Nicholas and Gypsy, from facilities known to have active TB, we always quarantine those elephants for at least one year, and trunk wash test several times. 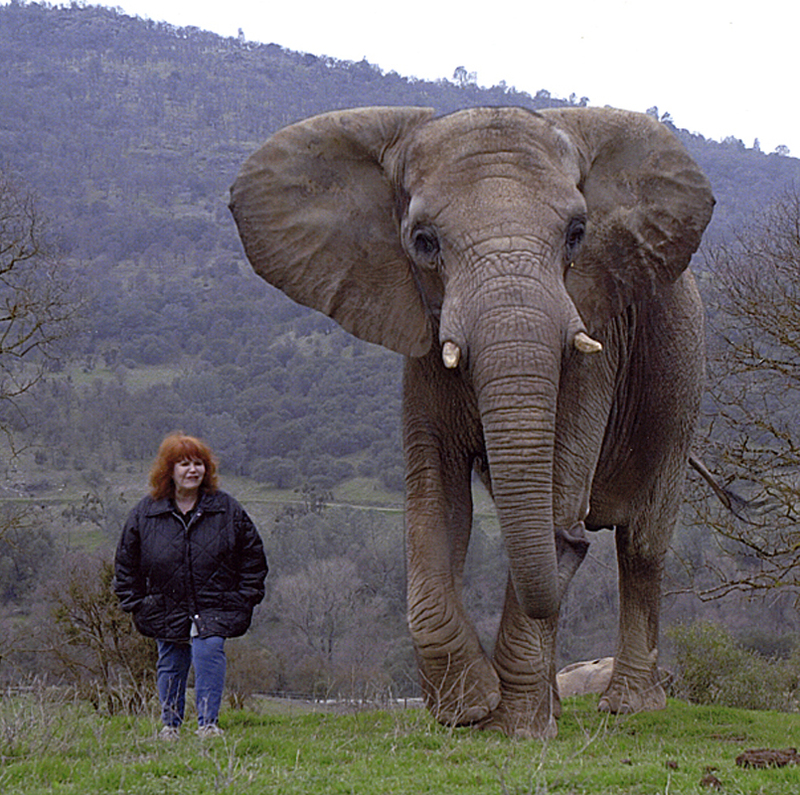 Nicholas and Gypsy were kept at PAWS Galt facility, the only elephants on that property, for a year and a half before coming to ARK 2000. Prince is currently in an isolated quarantine area at ARK 2000, and so was Sabu after his arrival. All of our African elephants, with which the Toronto elephants will be housed, have been non-reactive to the blood tests, and we always keep separate cleaning equipment, feed buckets and supplies for each elephant barn. The African habitat and barn is completely separate from all other elephants and barns. Nicholas, who lives in a separate barn and habitat on Bull Mountain is non-reactive to the blood tests. Prince, who is in quarantine in a separate barn and habitat has tested reactive to one of the blood tests. We trunk wash test him frequently and he is consistently negative on trunk wash culture. Among the Asians, Wanda is non-reactive to the blood tests, but Annie and Gypsy are reactive; all are trunk wash culture negative. TB is an enigma among elephants, and the professionals continue to gather information. In 2000 another elephant, Carolyn, 32, died at St. Louis Zoo. Cause of death was listed as TB. San Francisco Zoo received an elephant, Calle, from LA Zoo who trunk washed positive and was treated for the disease. 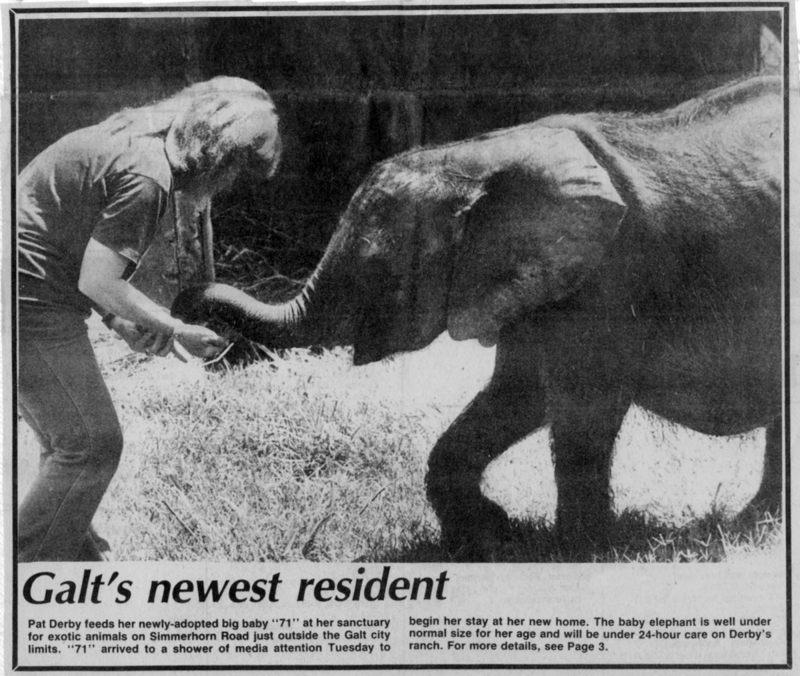 Calle was originally a Have Trunk Will Travel elephant who gave rides to the public for several years before she was traded to LA Zoo. TB is prevalent in circuses and some zoos. It is treatable and certainly is not the cause of the majority of elephant deaths in captivity. Rather, most elephants in captivity die from foot diseases and/or arthritis. It is for this reason that Iringa’s foot problem continues to be the major cause of concern, given she is more likely to die from this condition rather than from anything at PAWS. And, it is for this reason that the furtive attempts of some to hide Iringa’s foot problems, while postulating a theory of her death from TB at PAWS, is a shocking reminder of the lack of ethics which prevails among some. Indeed, the Zoo will not allow our veterinarian to film the treatment of Iringa’s foot, although we will inherit this problem and need to be informed about her ongoing treatment. PAWS has provided this information at the risk of legal action by those who have donated elephants to us under confidentiality agreements. Toronto Zoo is requesting outside experts to evaluate this situation — although everyone who regulates us IS an outside expert. Their reluctance to allow any outside expert to examine Iringa’s foot is, therefore, even more confusing. I have often wondered why PAWS continues to be a target for the perpetuation of myths versus facts by the Association of Zoos and Aquariums (AZA) regarding sanctuaries. Why us? It is even more perplexing when one considers their silence when blatant animal abuse and neglect is exposed at one of their AZA-accredited or AZA-affiliated facilities like Have Trunk Will Travel. When the Milwaukee County Zoo, an AZA-accredited facility, donated Lota, an Asian elephant, to a circus corporation, the transfer was negotiated with the full approval of AZA. Lota contracted TB while travelling with various circuses and was ultimately mandated by USDA to be sent to the Elephant Sanctuary in Tennessee, a transfer protested by AZA who preferred having Lota perform in a circus to life in a sanctuary. Why? Annie, a former Milwaukee Zoo elephant, now lives at ARK 2000. The transfer of Tammy and Annie, Lota’s two elephant companions, to the PAWS sanctuary in Galt, was also vigorously protested by AZA. Milwaukee County executives mandated the transfer after the “training” of Tammy and Annie was exposed on video tapes showing the cruel, daily sessions where the two elephants were roped and beaten repeatedly. AZA did not find this treatment objectionable, although they were opposed to sending the elephants to PAWS. Why? On October 19, 2004, PAWS distributed a press release expressing outrage over the death of Tatima, a 35-year-old African elephant at the Lincoln Park Zoo in Chicago. The press release, which was published in our book, Everything You Should Know About Elephants, in 2009, expressed my opinion that, “This elephant’s death is the direct result of the Association of Zoos and Aquarium’s (AZA) stubborn refusal to make decisions in the best interest of individual animal welfare.” You can read that press release, here. I also wrote an article in response to the 2004 paper, “Zoo vs. Sanctuary: An Ethical Consideration”, written by Dr. Michael Hutchins, Director and William Conway Chair, AZA Department of Conservation and Science. That article is also included in Everything You Shnould Know About Elephants. Dr. Hutchins’ article is once again being circulated on the Web, and at the risk of becoming redundant, readers who may wish to hear the rest of the story can read my response to that article, here. The 27+ year history of PAWS is one of which Ed and I are inordinately proud. Our mission has been simple — to enhance the quality of life for all captive wildlife and to provide sanctuary to abused, abandoned or retired wildlife. Some AZA-accredited zoos have supported our mission and collaborated with us to expose abuse and neglect in facilities that house captive wildlife. They are frequently castigated for their support of PAWS. Why does AZA continue to condone the actions of animal trainers and zoos that use bullhooks and other “tools of the trade” in their management programs, or ones that advocate separating bonded pairs of elephants in the name of conservation which violates the research of scientists who have devoted years to the study of wild populations of animals? Some of the most renowned and respected scientists — Cynthia Moss, Joyce Poole, Winnie Kiiru, Keith Lindsay and Dr. Jane Goodall — have recommended the PAWS ARK 2000 sanctuary to Toronto Zoo as a retirement home for the three African elephants, Thika, Toka and Iringa. Why does AZA consider their years of experience as unimportant, and continue to threaten Toronto Zoo with the horrors of lack of accreditation? 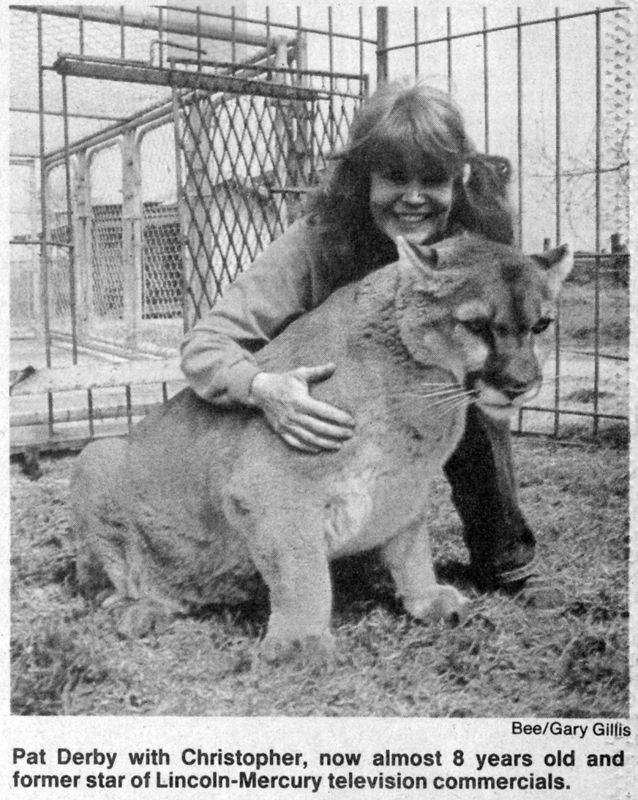 Maggie, a former resident of the Alaska Zoo. Further answers are contained in the November issue of the Canadian Association of Zoos and Aquarium’s (CAZA) in-house magazine, published after a workshop was held at Toronto Zoo. In a paper titled, “Collection Sustainability Initiative”, CAZA presented some very frightening ideas on “managing” species, and some very cogent reasons for zoo associations’ support of “industry” facilities and trainers — over sanctuaries and animal welfare advocates. 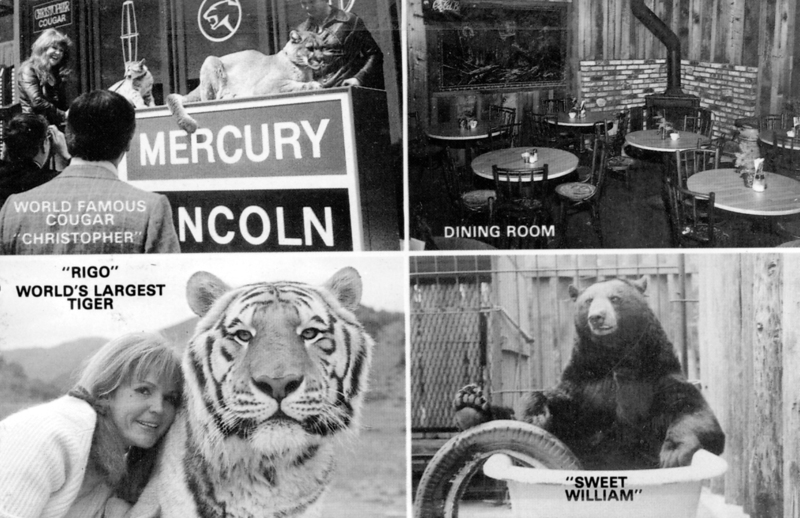 In the early ’70s, zoos referred to their “collections” and often employed Curators of Collections to import popular species captured by exotic animal dealers like Fred Zeehandelaar, who brought Toka and Iringa to the Toronto Zoo after trapping them in the wild. Animal dealers were considered an invaluable resource to zoos and their breeding programs. When a surplus of animals, mostly males, occurred as a result of successful breeding, the dealers would travel to zoos to collect the surplus animals and deliver them to animal auctions and hunting ranches. There were no ethical concerns about acquisition or disposition of the collections. The welfare of individual animals was considered to be unimportant compared to the greater good of Species Survival Plans (SSP). As an animal trainer working in films and television, I was appalled at this system which traded animals like baseball cards, and the resultant suffering and neglect was so horrifying, it compelled me to write my first book, “The Lady and Her Tiger.” I became one of the first “animal activists” before the term was coined. When “Animal Activists” emerged in the early ’80s, Ed and I were honored to join their ranks as they battled industry cruelty. We educated our colleagues on the cruelties inherent in the use of wildlife in entertainment and started campaigns to change laws that allowed the importation of wildlife from range countries. We were also responsible for stricter enforcement of existing laws and public scrutiny of animal auctions and hunting ranches. The exposure of the practice by AZA-accredited zoos to send surplus animals to hunting ranches was the beginning of the controversy between PAWS and AZA. Who knew? We thought zoos shared our concern for the welfare of all animals. Many do, but the industry unions, CAZA, AZA and EMA, are promoting some very different concepts in the name of conservation. This philosophy is reflected in much of AZA’s literature and is a disturbing revelation that AZA and CAZA consider those who advocate for animal welfare a threat to the “conduct of their business.” Circuses, animal dealers and animal trainers are preferred colleagues who are allowed to use the perceived credibility of AZA, CAZA, EMA and other trade organizations to justify their activities. A call to action for a return to the “Good Old Days” — when surplus animals could be euthanized, traded, sold or donated to circuses, animal trainers and backyard breeders; when laws would allow zoos to import or “rescue” (a new term for capture) exotic animals from the wild — is apparent. Hopefully, the many ethical and humane zoo directors, keepers and docents will object to this return to archaic and insensitive policies that create controversy between them and their “animal activist” supporters. I still believe most zoo professionals are bona fide animal activists with a strong desire to make life better for their animals — despite the insidious attempts of animal exploiters to infiltrate their world. 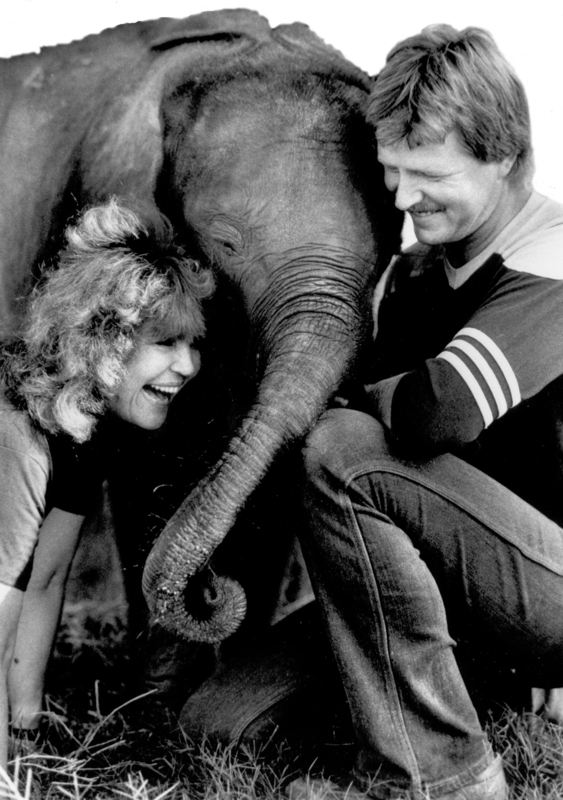 After days spent dealing with the surprise of the Toronto Zoo elephants’ pending arrival, and the misinformation about PAWS and ARK 2000 we’ve been reading in news reports and on social media sites ever since, Ed and I were excited to watch good friend, and PAWS supporter, Tony LaRussa win the World Series. When Tony announced his retirement yesterday morning, we sent him a text message offering him a job as an elephant keeper. 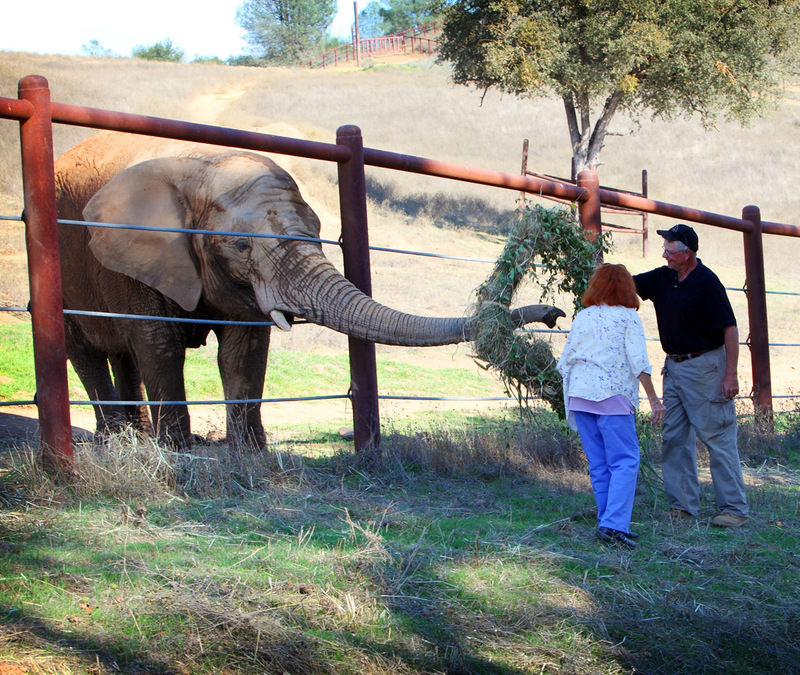 It’s sort of an inside joke — Tony has helped us lobby for elephants and he has visited our elephants on many occasions. Tony loves elephants! Actually, he has all the right qualifications for a good elephant person: he’s focused; attentive; very intelligent; and thoughtful. Those are key components for understanding these huge individuals who are all different, like baseball stars. Tony texted back saying he wanted to apply and would interview. It was great fun and a relief from the tension generated by the recent news. We will be seeking more qualified personnel, but Tony is WAY out of our league. When Tony told the story on the Late Show With David Letterman last night, we were very grateful for the plug. Three more elephants will be very expensive and Tony knows that, having helped us many times in the past. Thank you, and congratulations Tony LaRussa!